If you are planning to put your home in Granbury on the market, you have most likely looked around for things in your home that need cleaned and repaired. You have freshened up your landscaping and added color to your curb appeal. As diligent as you have been in getting your home ready, be sure you did not overlook the smells that linger in your home just from your day to day living. Just do not use them. Home buyers can tell when a strong scent of these air fresheners is present and assume it is to cover up an offensive odor. Some people are just very sensitive to perfumes and candles, and will be turned away by these smells. When HE Washing Machines hit the market, consumers dashed out to buy them. After a short time of use it was realized that these HE washing machines, specifically the front loaders begin to have a musty smell to them. This smell can fill not only the laundry room, but seep out to the rest of the home. People have also found this smell can transfer onto the clean clothes washed in these machines. The remedy is available now on your local grocery store. Washing machine cleaner tablets used monthly will remedy the odor. Another option is to clean the washing machine with a bleach and water mixture, be sure to wipe down all components. Once you have identified and remedied any offensive odors in your home for sale, you will find that feedback from buyers will be minus the “house showed well, but smelled bad”. A stinky house, no matter how beautifully staged and advertised, will sit on the market a lot longer without an offer. If you are using a Professional Realtor to market your home, ask their advice on getting your home ready to sell. 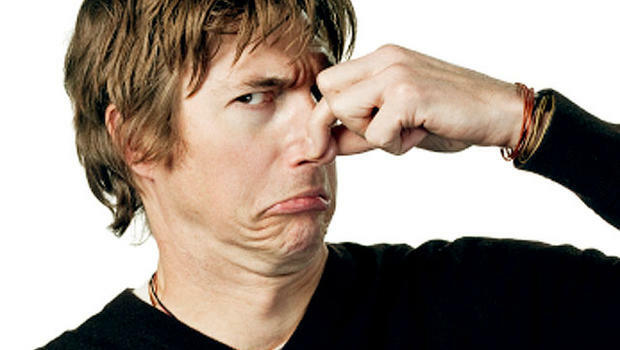 The Realtor will be able to point out any odors that they find in your home that you may not notice. Professional Realtors have probably encountered the problem smells listed here, and can offer solutions.